Since we opened our first office in 2002, Advartis Tenerife Property have stayed committed in providing the highest standards of quality and integrity in the property market carried out with uncompromising levels of professionalism. 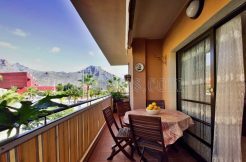 Over the years, Advartis Tenerife Property have invested hard work in establishing, as well as maintaining strong collaborations with leading developers, investors, financial institutions, professional bodies and individual owners. Integrity, honesty, unbiased information and advice allow us to be amongst the realtors’ prospective buyers and sellers choose. We have managed to build our success through word of mouth advertising, since we believe it is the strongest marketing tool.